Senaat, one of the largest industrial investment holding companies in the UAE, reported a steady revenue growth in 2018 which totalled Dh16.3 billion ($4.43 billion), a 3.5 per cent increase over the previous year’s revenue of Dh15.7 billion ($4.27 billion). More notably, EBITDA increased to more than Dh2.5 billion ($680.6 million) in 2018, a 20 per cent increase compared to 2017, reflecting margin enhancement realised by capitalising on market opportunities and through cost control initiatives implemented across the group, said a statement. These outstanding results complement the sustained growth in the company's industrial assets portfolio which reached Dh27.3 billion ($7.43 billion) at the end of 2018, representing a compounded annual growth rate of 15.5 per cent since Senaat’s inception in 2004. The company continues to invest to develop assets, increasing Senaat’s contribution to Abu Dhabi’s industrial asset base. In the last quarter of 2018, Senaat successfully issued a Dh1.1 billion ($300 million) sukuk with a 7-year tenor dual listed on the London Stock Exchange and Abu Dhabi Securities Exchange. The new sukuk had strong investor demand both locally and internationally, enabling the issue to be 8.7 times oversubscribed. The sukuk was competitively priced, with a fixed rate of 4.76 per cent per year, underpinned by investment grade ratings of “A3” by Moody’s and “A” by Fitch. “One of the main strategic objectives of Senaat is to support the social and economic development of Abu Dhabi by spearheading industrial investments that will achieve long-term, sustainable returns, as well as to develop human capital,” he said. “We are proud of the company's remarkable achievements in its different sectors and we look forward to continuing this growth and capitalising on investment opportunities to maximise shareholder value,” he added. “We must also remember the efforts of all our portfolio companies, whose management teams and staff deserve great credit for their contributions. We look forward to building on this growth trajectory and expanding our businesses. 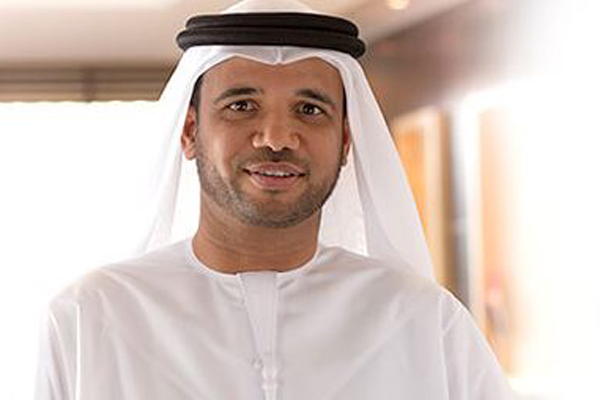 Over the past few years, we have been able to achieve outstanding results, supported by our strong efforts to develop our company and consolidate its position as one of the UAE’s leading diversified industrial groups,” he said. “We have been able to successfully fund investments, as well as build strategic partnerships, that will further strengthen and grow our industrial portfolio,” he added. Following a strategic plan to support and promote the national Emiratisation program at Senaat and across the industrial sector, Senaat has achieved an outstanding Emiratisation rate of 66 per cent, and 75 per cent nationalisation at leadership positions.